SPRINGFIELD, Mass. – Smith & Wesson Corp. today announced that the company’s award-winning M&P15-22 SPORT rifle is now available with a factory-mounted MP-100 Red/Green Dot Optic. Chambered in .22LR, the M&P15-22 SPORT rifle in an optics ready configuration includes a red/green dot MP-100 optic that allows for a quick and easy sighting solution on the reliable M&P15-22 platform. 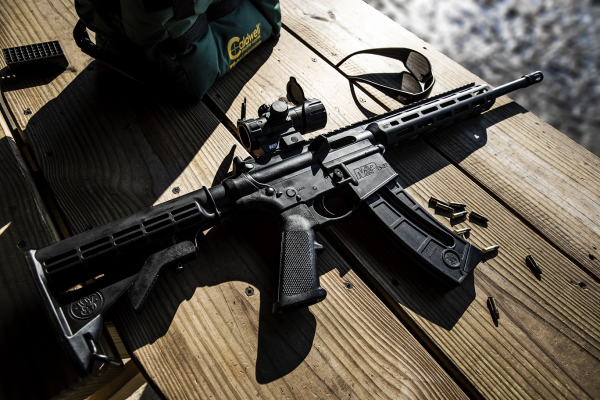 To learn more about the new M&P15-22 SPORT OR with M&P Optic and the complete line of Smith & Wesson firearms,including spec sheets and images, please click here. To stay up to date on all of the latest news and events, be sure to follow Smith & Wesson Corp. on Facebook, Twitter,Instagram and YouTube. Matt Spafford, Smith & Wesson Corp.